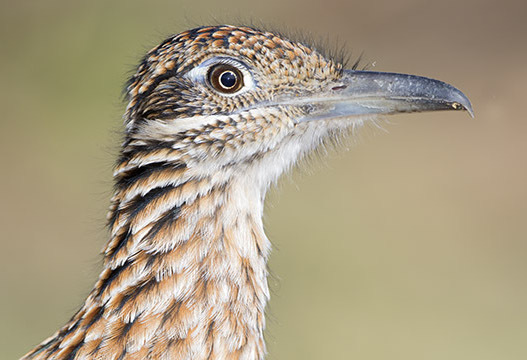 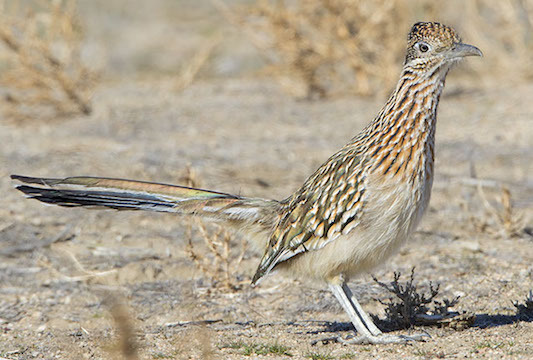 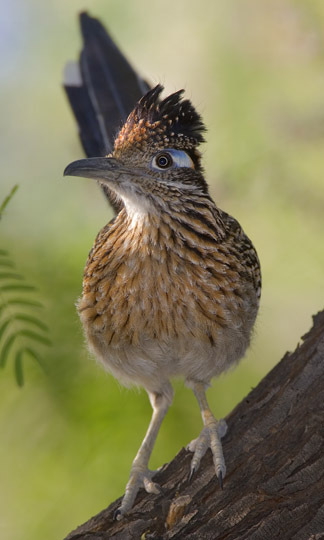 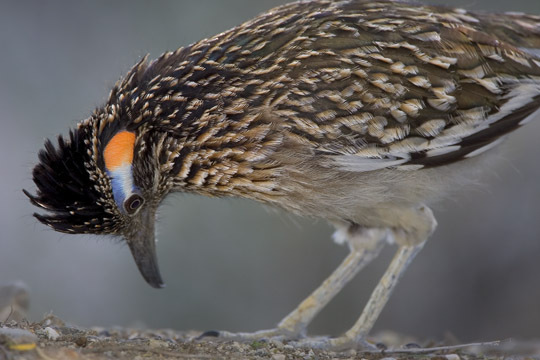 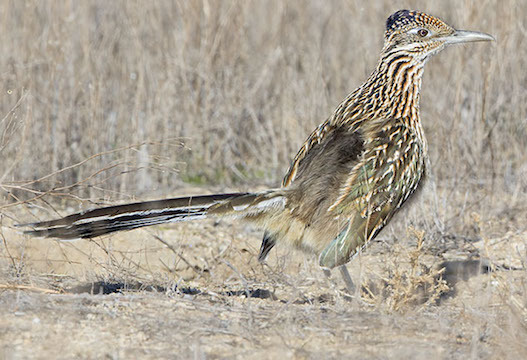 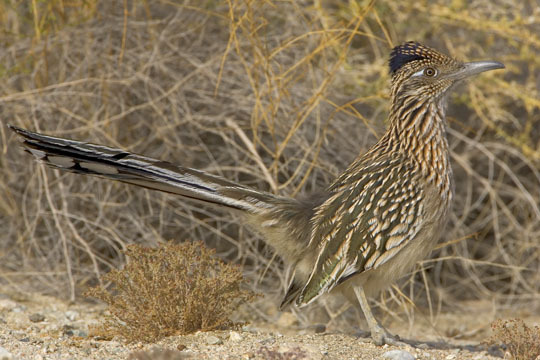 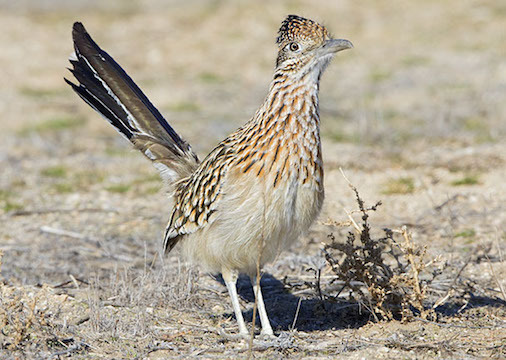 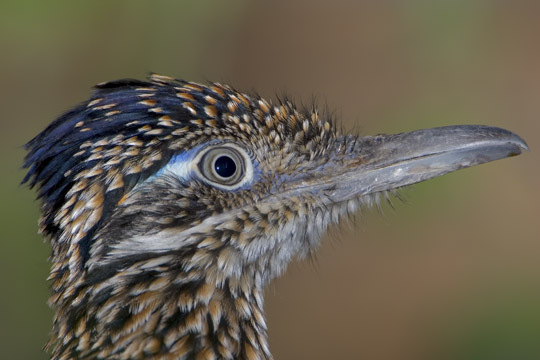 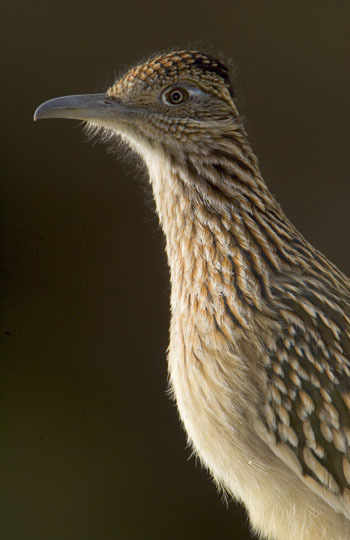 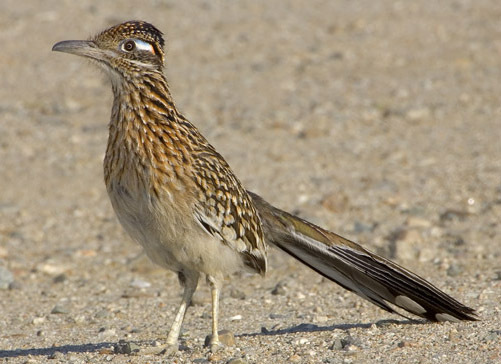 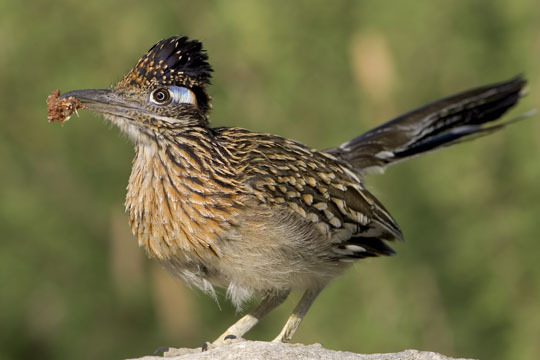 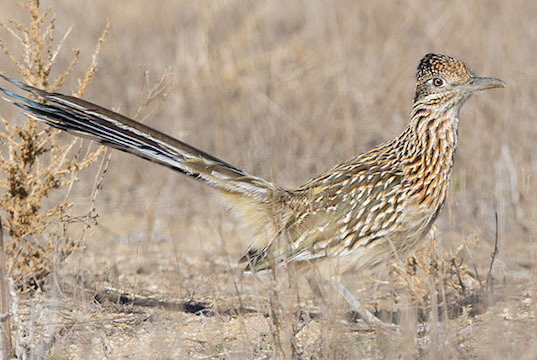 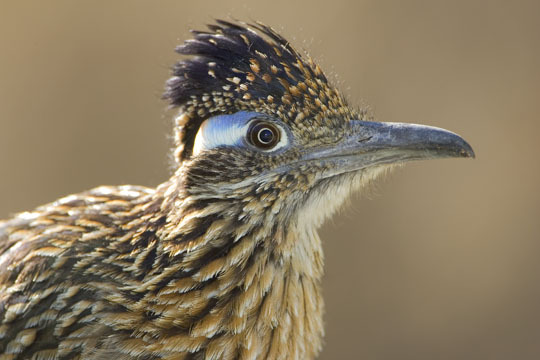 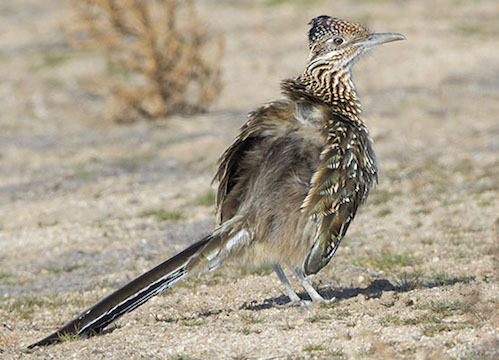 Roadrunners -- with their goofy crests and long, mobile tails -- are icons of the American southwest. 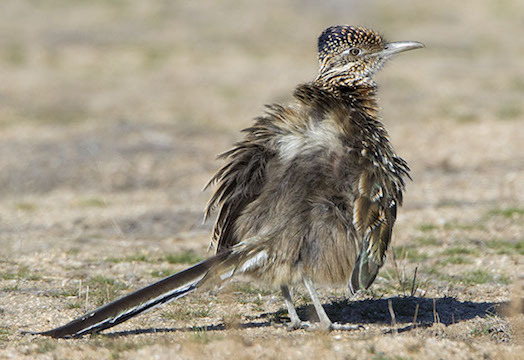 They are related to cuckoos, and have a haunting cuckoo-like call (a slow, descending series of soft hoots) that can be heard in spring; when calling they bow low and expose bright patches of bare skin on the head. 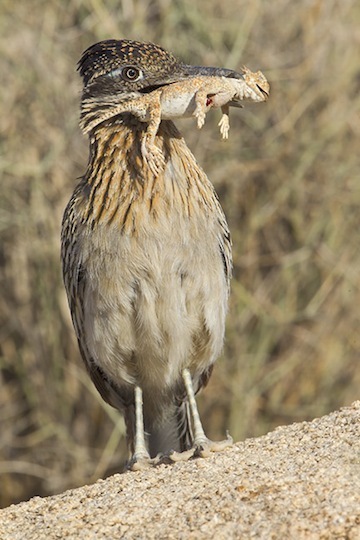 Everyone seems to like them, except for herpetologists who resent their skills in catching lizards and small snakes (they also eat insects, mice, baby birds, and about anything else they can catch). 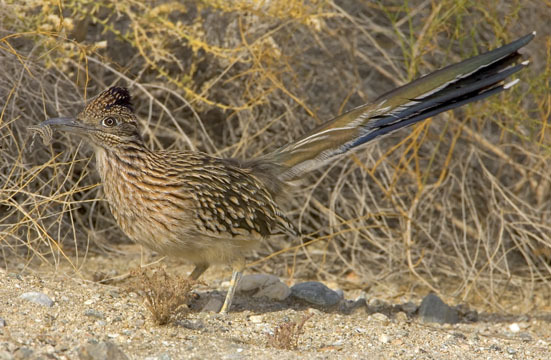 They are famous for their ability to catch small rattlesnakes (although this isn't common). 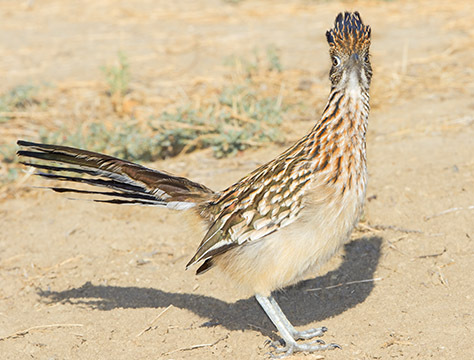 On cool mornings they often sun-bathe to warm up (photos near bottom of page). 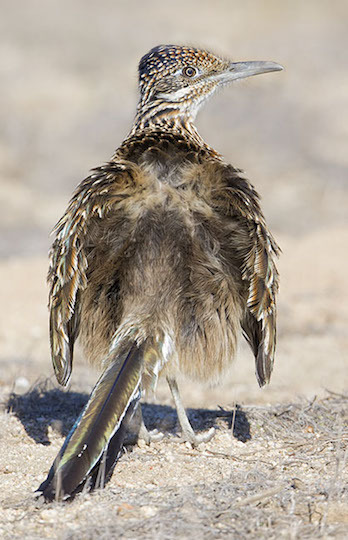 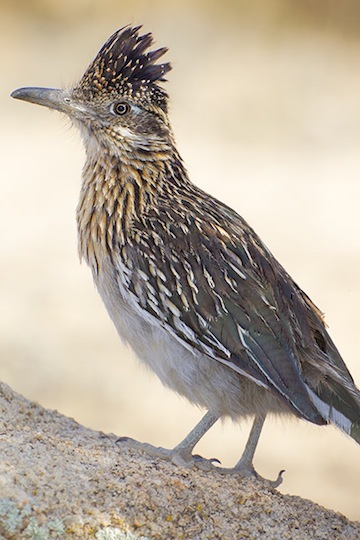 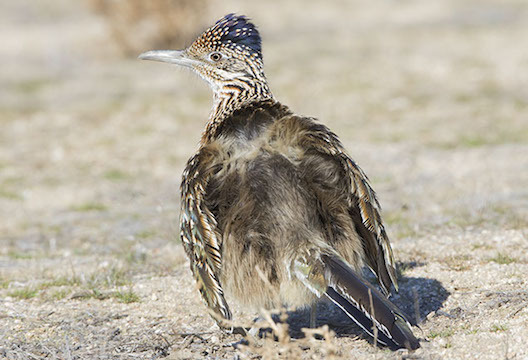 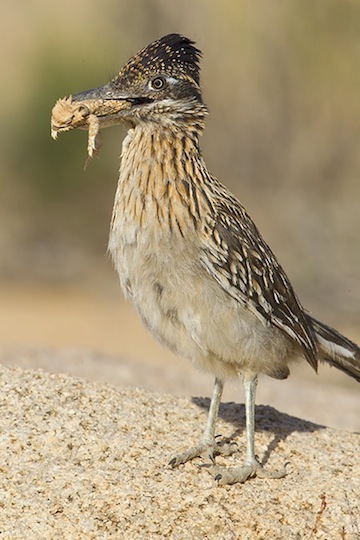 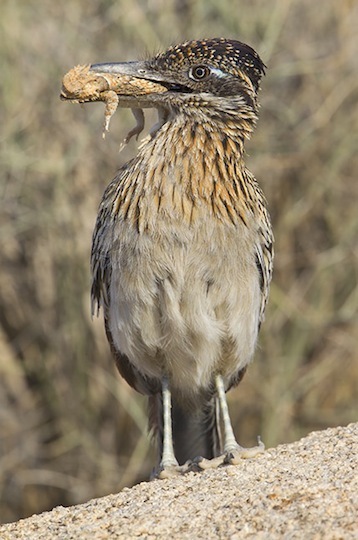 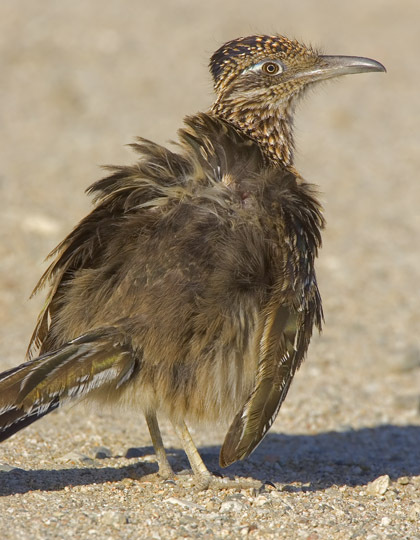 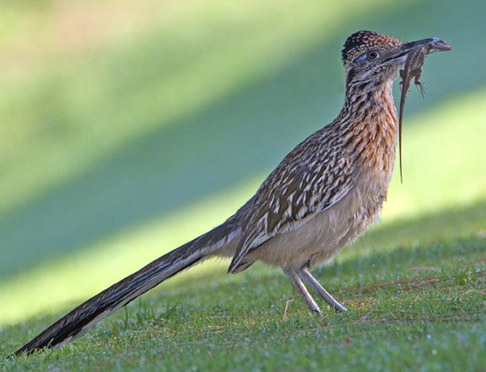 One of these roadrunners has caught a western fence lizard; another is also fiddling with a freshly-captured lizard, and several images show a bird with a desert horned lizard. 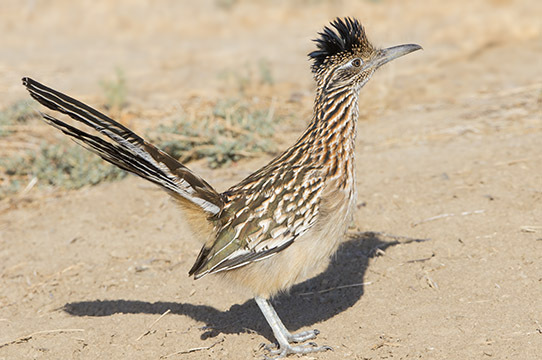 The pictures were taken in Joshua Tree National Park, Yucaipa, the San Jacinto Wildlife Area, and Palm Desert (all in California).